RobbinHood ransomware is the threat that scares people with huge amounts of ransom and possibility to damage their data. 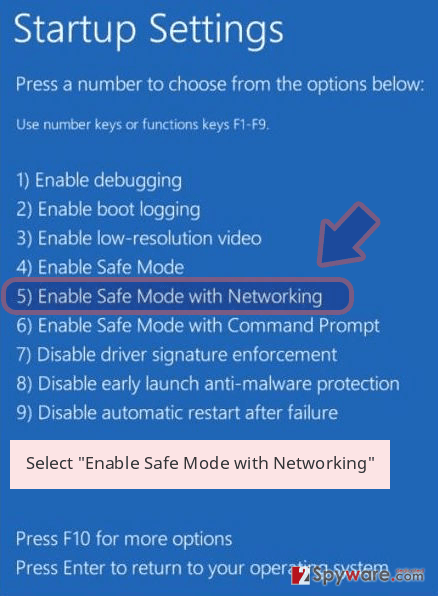 This is one of the most dangerous programs that can infect your device. For the proper virus removal, you should get the anti-malware program and clean the system fully. RobbinHood ransomware virus is the threat that delivers many files to the system and informs about encryption, ransom amount and possible solutions for getting your files back. 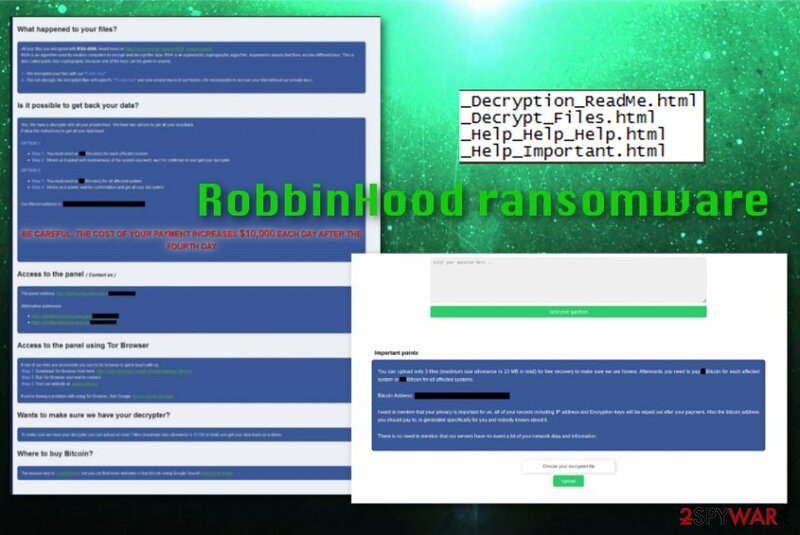 RobbinHood ransomware is the virus targeting English-speaking users and encrypting their files to demand ransom for file recovery. This virus uses sophisticated encryption algorithm and makes files useless, then renames documents, photos, and other data with a pattern – Encrypted_.Enc_robbinhood. There is no apparent relation with any other cryptovirus family, so this is relatively new ransomware in the cybersecurity world that was discovered in April 2019. When files get locked virus delivers a ransom note _Decryption_ReadMe.html, but other files may also get delivered to victims' screen or added on the desktop, in folders with encrypted data. _Help_Important.html; _Decrypt_Files.html; _Help_Help_Help.html files show various information about the encryption process and the initial ransomware attack. For file recovery, RobbinHood ransomware virus demands either 0.8 BTC or 13 BTC, depending on the number of affected devices. Developers also note that the cost of this alleged decryption increases by $10 000 every day, if you don't pay up in four days. These files also inform that cryptovirus employs particular RSA-4096 encryption method for the primary purpose of locking data. Since RobbinHood ransomware is a member of the cryptovirus category, you should be aware of the possible damage for encrypted data or even privacy issues and data or money loss. Especially, if you decide to pay the ransom and contact these virus developers. RobbinHood ransomware virus targets mainly everyday PC users, but ransomware is the threat that often comes for big companies and services, or even governments, health industries, and institutions. There is no need to wait for the possible solution, you need to react as soon as possible. RobbinHood ransomware is the cryptovirus that demands either 0.8 or 13 Bitcoins for the decryption. is Possible IT to the get back your data? Yes, we have a private keys. Data back options. Wants to make sure we have your decrypter? You can upload at most 3 files (maximum size allowance is 10 MB in total) and get your data back as a demo. RobbinHood ransomware developers as any other cybercriminals encourage people to pay the demanded ransom and guarantees the decryption. However, these people are malicious, and the test decryption that may be offered is not a good idea. This is the trick to make developers look more trustworthy. You need to get a reputable anti-malware tool and remove RobbinHood ransomware instead. This method is recommended by many experts all over the world because ransomware should be removed alongside all the programs and files. A full system scan that antivirus program can offer is the best solution. RobbinHood ransomware removal using anti-malware tools allows seeing all potential threats and delete them with one program. AV program offers a full system scan and a security check, other features. 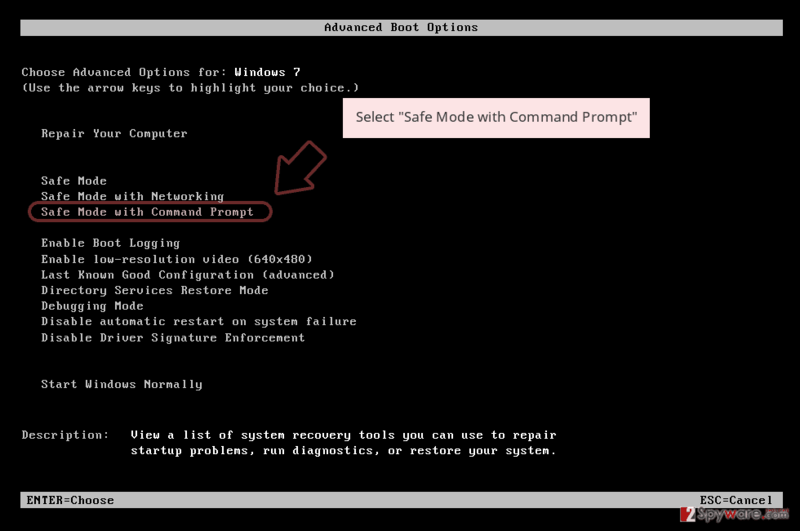 Employ malware-fighting tool and clean the system entirely. 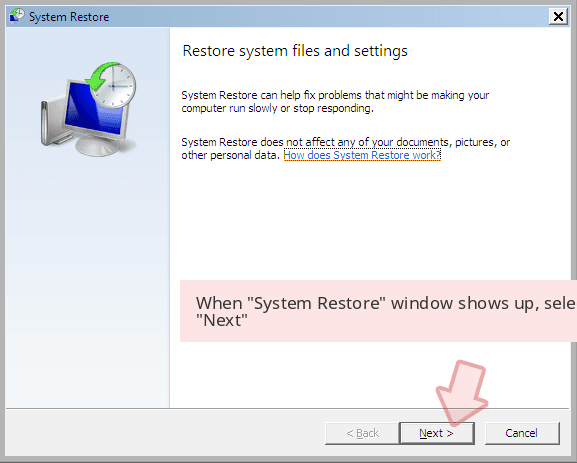 We can also recommend using Reimage, a program that helps with virus damage and system issues. Malicious files or web links get added to emails and this way ransomware script is loaded on the targeted machine. Hyperlinks often redirect to suspicious or compromised sites or even initiates a direct download of the malware that distributes cryptovirus further on the system. The primary technique is to trick users into downloading and running a malicious file of this ransomware. This can be achieved by attaching safe-looking files to emails because the user needs to open and download the file on the device to trigger malicious macros. Get rid of the RobbinHood ransomware virus by cleaning the system entirely. 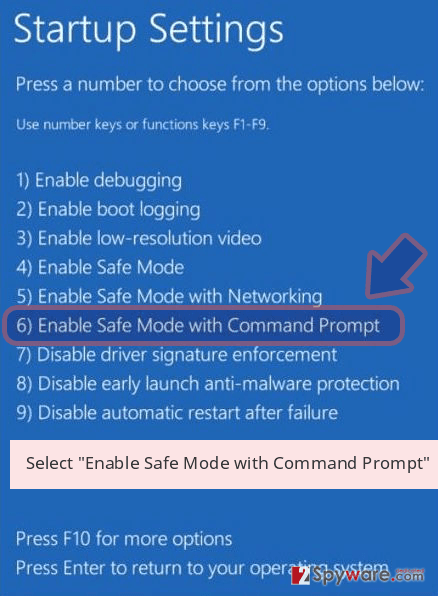 This is a great method because all additional programs can get deleted this way. Also, there is no need to have a degree in IT or any experience. To remove RobbinHood ransomware properly, you need to get a reputable anti-malware program and scan the machine thoroughly. Reimage, Malwarebytes MalwarebytesCombo Cleaner, or Plumbytes Anti-MalwareMalwarebytes Malwarebytes are the programs that also can help with improving the general performance of your PC. Make sure to perform a complete RobbinHood ransomware removal and then recover your files with backed up data or using the data recovery software. 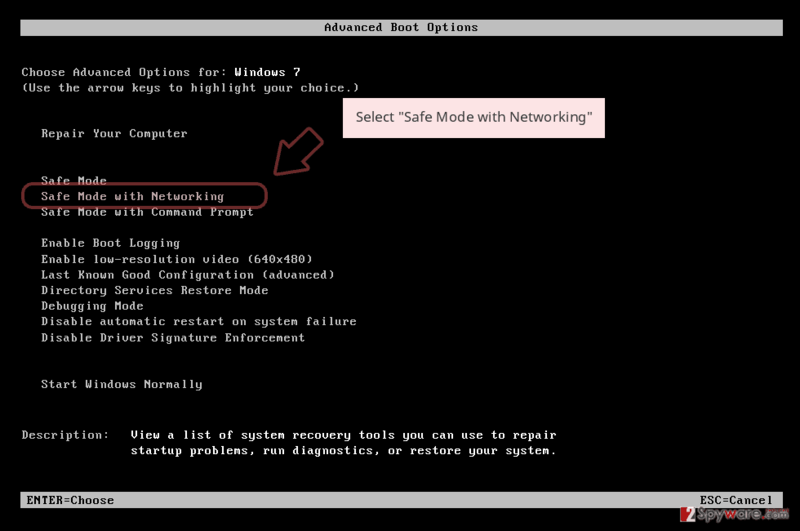 We have a few suggestions below as well as additional virus elimination tips. Log in to your infected account and start the browser. Download Reimage or other legitimate anti-spyware program. Update it before a full system scan and remove malicious files that belong to your ransomware and complete RobbinHood removal. 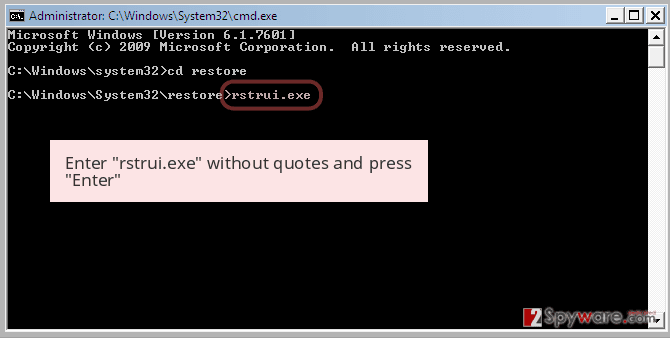 When a new window shows up, click Next and select your restore point that is prior the infiltration of RobbinHood. After doing that, click Next. 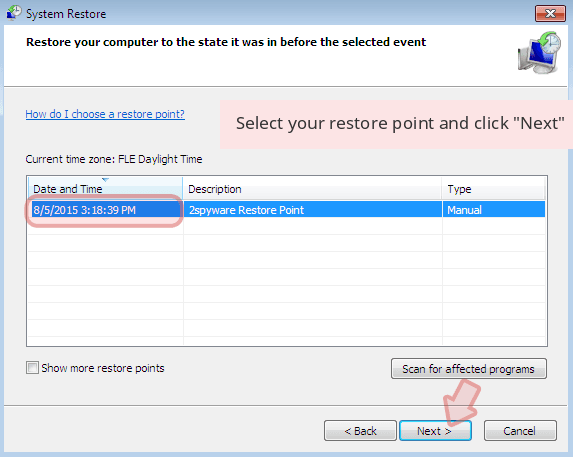 Once you restore your system to a previous date, download and scan your computer with Reimage and make sure that RobbinHood removal is performed successfully. Guide which is presented above is supposed to help you remove RobbinHood from your computer. To recover your encrypted files, we recommend using a detailed guide prepared by 2-spyware.com security experts. ^ Mark Kaelin. Avoid ransomware payments by establishing a solid data backup plan. Techrepublic. 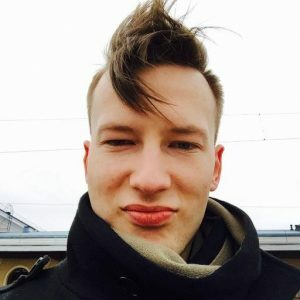 News, tips, and advice. ^ Gene Marks. Owners must protect their businesses from ransomware before it's too late. Theguardian. News, sport and opinion. This entry was posted on 2019-04-13 at 04:26 and is filed under Ransomware, Viruses. You can quickly scan the QR code with your mobile device and have RobbinHood ransomware manual removal instructions right in your pocket. How did you remove RobbinHood virus?